Sonoko Nimura crossed my path in life first time on Monday July 31, 1995. We were on travel with the same goal in life. I was following the Rolling Stones on tour. Sonoko Nimura did the same. We were on the train between the Rolling Stones shows in Basel, Switzerland and Zeltweg, Austria. She was on tour with a friend from Tokyo, Japan, and as superfans we connected immediately. We had the same interests, the same goals, the same passions in life, and we followed the Rolling Stones wherever they went. Sonoko Nimura was born in Osaka, Japan on 8 December 1964. Sadly she died on 23 November 2014. I was so lucky to spend nineteen great years on Stones tours with Sonoko. For that I am grateful, and I owe it to her memory to write some of our story. The rest will be in my mind as warm thoughts. Also, as I know Sonoko made so many other friends on tour, I know she will be deeply missed by many. This is in memory of her. Sonoko Nimura was the kind of person that made friends with everyone. She would come up and talk to you, even if she was not that fluent English spoken back in the 90's. But over the years her English was as good as any. Even if she usually traveled on her own, she often came with friends, and we were a small group of fans who met up at shows across the world, still do, always warm welcome when we met, and always big hugs and smiles when we could meet up for tour starts or at big show dates like New York, Boston, London, where many "superfans" who travel came. The Rolling Stones have been on tour almost all the time during the past decades. We met during the great years of 1995, 1997-1999, 2002-2003, 2005-2007 and 2012-2014. Also, when Charlie Watts, Ronnie Wood or other band members had some guest appearances or separate shows in London or other places, we were there. And of course, Sonoko Nimura was there. To me Sonoko was like a sister, someone I loved very much, I could trust her, we talked about anything, no secrets. When you follow the Stones, at the inner circles, there is so much you know and hear and see, you need some to trust. Sonoko was always to be trusted. I remember I went to Toronto Canada in the summer of 2005. The Rolling Stones were rehearsing for the upcoming tour. I flew over to be there, and meeting up with Sonoko at the rehearsals location was worth the travel alone. We had a big warm welcome and we were all smiles, like a family reunion. As there is a lot of waiting during the rehearsals, we had a lot of time to talk. I remember we talked about baseball, that they played baseball in Japan also, and Sonoko was showing me how they did the game. She had a passion not just for the Stones, but also for the sport and for her country Japan. Picture above: Toronto, Canada, August, 2005. Rehearals days at the school. There were many shows and many tours with the Stones - and with Sonoko. Some times we were many fans on travel, other times we were the few, at remote places. In Munich Germany during the summer of 2003 we found out the Rolling Stones were doing rehearsals at a studio outside the city. I got a hired car to find out about the place. We were out there just Sonoko and me, nobody else. And the band of course. We listened to three takes of "Lady Jane". We stayed out there for hours. Sure I could have published the name of the place every time, but then there would have been hundreds out there, and they would have kicked us out. When I was there with Sonoko we were enjoying being close to the band, that was important to us. And we were enjoying the music. The rare somngs they might never play live. And the frenship, the shared passion. I did not think about it back then, but now I feel lonely when I think back about those moments, when there were just the two of us. 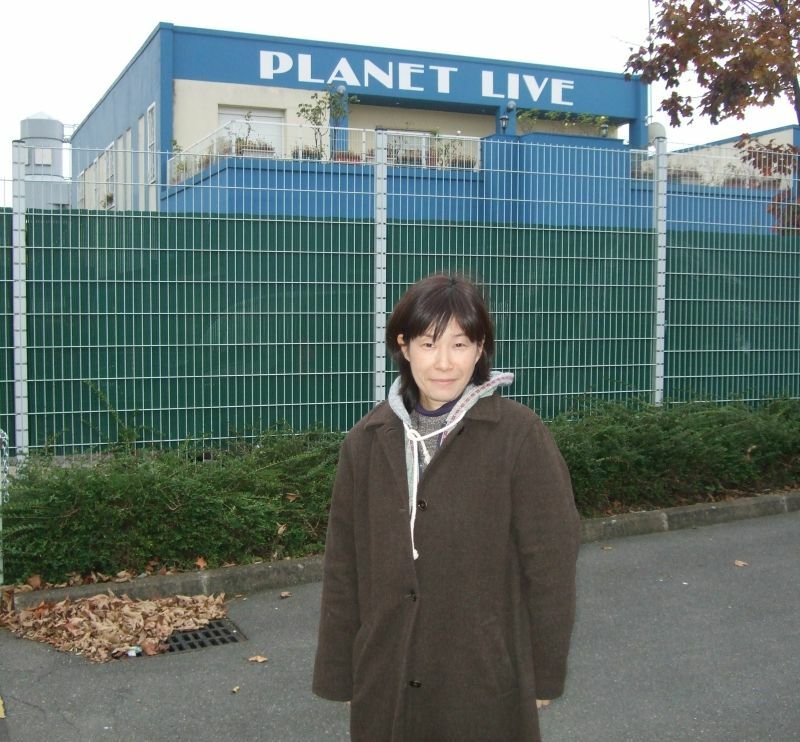 When the last show of a tour was coming, I used to ask Sonoko when she was going home. Then the usual answer was: "I am going to London", or "I am going to New York". She had a passion for not just the Rolling Stones, but for rock music in general, especially the grown up generation. She was road manager for Bo Diddley. I went to London and Dublin to met her and Bo. Those were great shows. We were sitting backstage in the sofa, just Bo Diddley, Sonoko, and me. I felt like a friend of Bo. We talked about music and touring. Then they allowed fans in to meet and greet with Bo. I saw it from the other side. Then I understood how important it is for even superstars to have some time on their own, also time when they are not just superstars, but also talk to normal people. Sonoko did a great job working with Bo Diddley, and I think she loved that job. October 2012 and I talked to Sonoko about Paris. I am in Norway and Sonoko is in Japan. There are once again rumours about a new tour, and the Rolling Stones rehearsals. Are you coming? Sure she was coming. I had my room at the nearby Ibis hotel some 40 minutes walk away from the Bondy Paris reheqarsals, and she booked into a room in the same hotel. We spend a lot of time there and we had dinner after the rehearsals at the Buffalo Grill next to the Ibis. After a long break since 2007 we were back on the road, and we just could not wait to see what this tour would bring us. Then we went to London and New York for the five shows of course, but the rehearsals days are just as great as the shows, to hang around with friends, to meet up and celebrate. Also, one of our greatest moments were when we were invited into the rehearsals studio. When you are a fan like Sonoko or me, you sense something is in the air. Then they come out to the fence. "Come five by five." "Take it easy, don't do anything stupid." We put our names on a sheet of paper. Sonoko, I and thirty other fans were the lucky 32 that night. We were in the Studio with the Rolling Stones for an hour. They worked on the songs and the new tour. After that we were all hugs and smiles, and as we walked back to the Buffalo Grill, we were so happy. After the five great shows in UK and USA there was the winter of 2012/2013. Again there were rehearsals, April 2013. This time in Burbank. And again there was a club show. At the Echoplex. We knew the day before, and we stalked out the place, with the great help of local friends, local superfans. Then we found out about the ticket queue for the club show at a different location. We were there by 2am in the morning, we were like number 15 or so in the queue. That was a tough ticket, but we made it, to one of the greatest smaller Rolling Stones shows ever. Then 2014 brought us 29 shows in Asia, Europe, Australia and New Zealand. We followed the band on tour as usual. Every show. Rehearsals in Paris February 2014. Rehearsals in Oslo May 2014. Rehearsals in Adelaide Oct 2014. And all the great shows during these small tours across the world. Sadly Sonoko was hospitalized in Adelaide Australia on the day of the show there. The dress rehearsals on Thursday October 23 was the last time Sonoko were with us for the Stones. 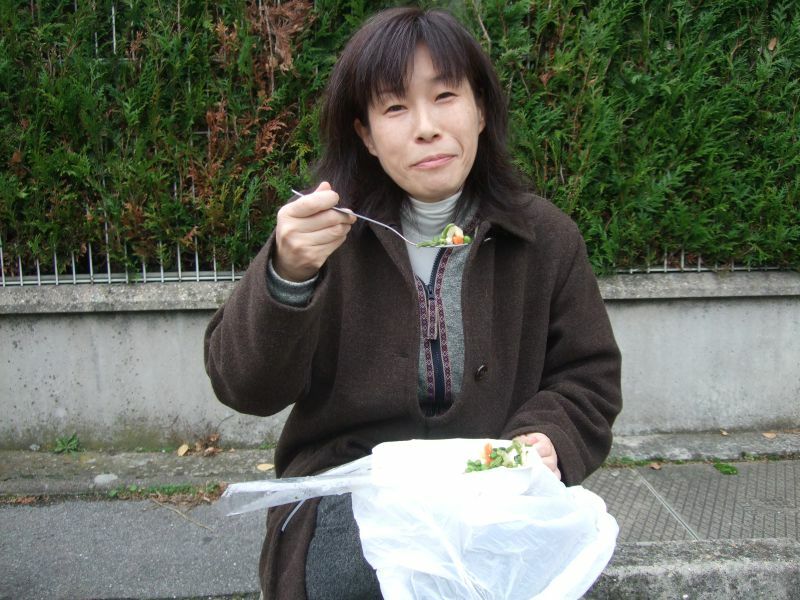 She returned home to her family in Osaka, Japan, and she died Sunday 23 November 2014. 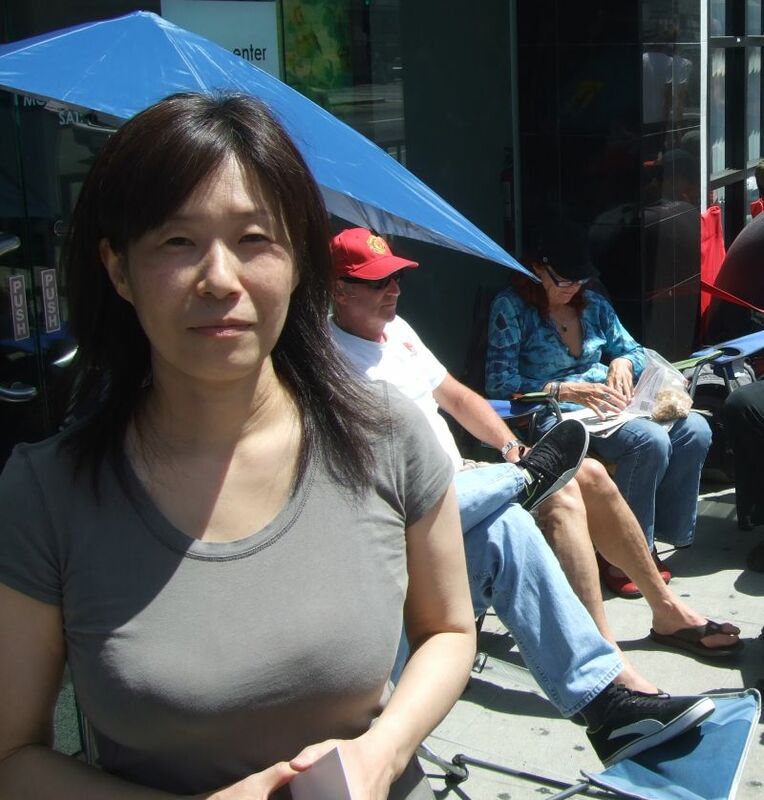 The Rolling Stones shows in Australia and New Zealand were so great, but Sonoko Nimura was missing on the tour. It was so hard to walk out after the shows and enjoy the performances, but all we can do is to keep our great memories of Sonoko and all her big smiles in our hearts. She will always be a part of the tour, she was a part of us. If you want to share a memory on tour with Sonoko Nimura, feel free to post on the IORR thread Sonoko Nimura in memory.